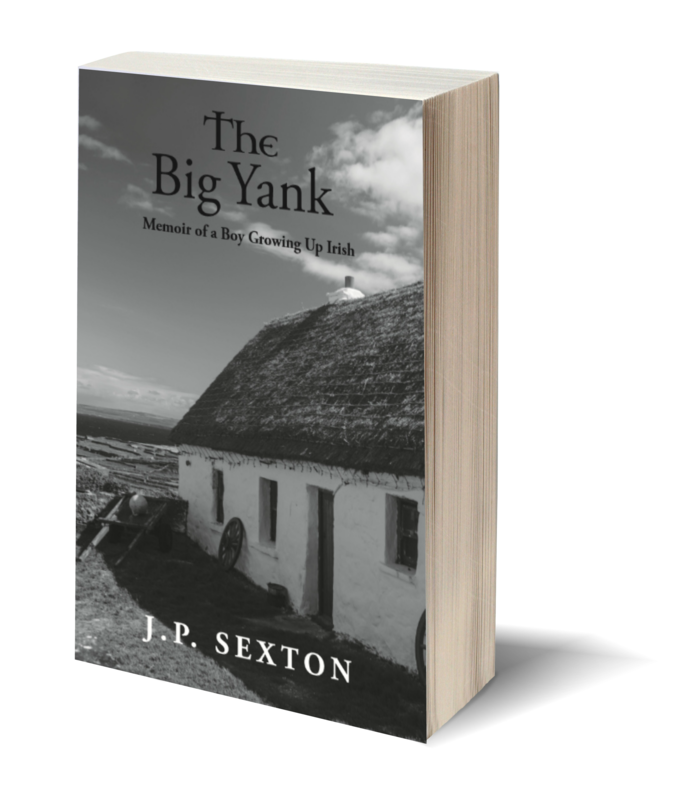 The Big Yank is a coming of age memoir by J.P. Sexton about growing up in Ireland in the late 60’s and early 70’s. The journey begins at the age of nine, when Sexton and his family returned to Ireland after living in America and reintegrated into their homeland. We follow Sexton and his younger brother through a long list of boyhood adventures, from smuggling food supplies from the North of Ireland into the South in order to increase profits from their father’s restaurant business to learning to smoke tobacco pipes from their Grandfather, a lovable rogue whose self-entertainment pranks knew no bounds. The Sextons were quite poor, and when his father’s health declined, J.P. was forced to cut his childhood short and assume a man’s role on the family farm. His father’s condition does nothing to halt his penchant for coming up with completely unconventional methods of making a living, or places in which to live (as in a double-decker bus on the side of a Donegal mountain). Throughout the story, the reader is taken on a whirlwind adventure of life in Ireland without electricity or running water, where school clothes came out of brown parcels from an aunt in America, and pets remained part of the family until it was time for them to be eaten. It is a story that is at once personal and universal, and provides a compelling window into life and boyhood in this uniquely interesting place and time. The Big Yank is a well-thought out manuscript of modern social history of life in Donegal at that time. Its delivery as a primary source is invaluable. It is funny, has pathos, evoking pity, sadness and the essential flavour of humour throughout. Its natural audience is wide-ranging. The Big Yank is a work of important social value to past and present generations. This story holds your attention in the same way as John Grisham in his books that aren’t aboutlawyers (“The Painted House” and “Playing for Pizza.”) The fact this is a true story holds the reader from the beginning. I didn’t want it to end. J.P. Sexton is a master at character development. From the moment you meet this dysfunctional family you want to know more. It’s as if you have arrived at the scene of an accident and you want to look away but you can’t. You are compelled to follow this family’s wrongdoings as you are pulled in on the very first page and become an accomplice to their butter smuggling business. 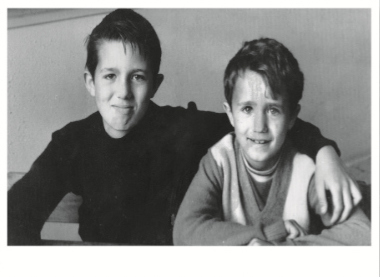 The story is so enticing, we are drawn in as willing witnesses to the painful and revealing early days of the author’s Oliver Twist–like childhood, filled with beatings, belittlement and hunger. We find ourselves deeply involved with his quirky and sometimes dangerous antics. Through J.P.’s light-hearted and self-effacing humor, we hope that all is going to end well, but there are a lot of twists and turns along the way. 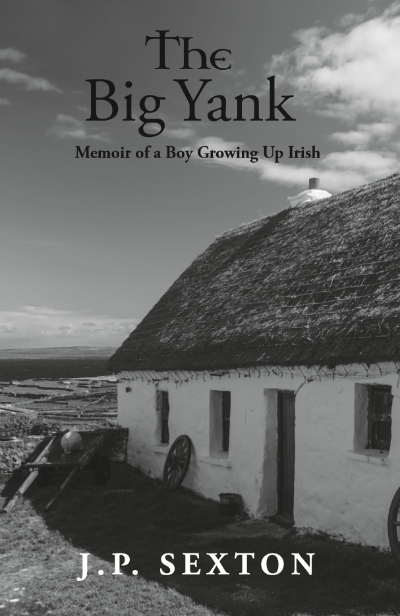 The moment you begin this awe inspiring, endearing and captivating story of the author as a young boy in rural Ireland, readers are transported to a world where poverty, parental abuse and nerve-frayed headmasters are a daily occurrence. Every page of this no-holds barred memoir, draws in the reader deeper and deeper until you feel as if you too are strapped in on the “Sexton Rollercoaster” and it seems like you won’t know how the ride will end until the very last page. One thing is for certain, you will find yourself cheering on J.P. throughout his endless adventures, as he tries to make his way to a better life, while never giving up on his dreams. Which leaves us to wonder; what could life possibly have in store for him in the future and “when can we get the sequel? Elena Johnson | Washington D.C. The Big Yank does just that. It “yanks” you in and makes you want more… more of J.P. Sexton’s wit, humor and fascinating story. Growing up in the far North of Ireland, the eldest of 5 children, John’s parents are too self-absorbed to realize the responsibilities they have placed on him – such as working the family farm by doing all the physical labor himself. The author’s uncanny ability to be humorous while discussing the worst of times makes you crave for him to experience success. Once you pick up this book, you’ll have a difficult time leaving it back down. Questions about The Big Yank?